Case 1/15: Cannon (insurance) – decision time: 176 days – 4 member states affected. Case 2/15: ImproChem (water treatment) – decision time: 166 days – 12 member states affected. Case 3/15: Chlor Arkali (food-grade salt) – decision time: 135 days – 3 member states affected. The record time — 11 calendar days — in which the CCC resolved the Telkom transaction in favor of the South African provider, which aquired a BBBEE entity, despite the fact that the affected geographies encompassed 10 COMESA member states. The average time it took for the CCC to clear these 5 transactions was 120 days from notification to decision. All 5 notified transactions were unconditionally approved. The voting Commission members were, in all cases, Chilufya Sampa (Zambia), Thabisile Langa (Swaziland), and Alexander Kububa (Zimbabwe). Finally, we observe that none of these merger matters presumptively benefitted from the upward-adjusted threshold (>$5 million), as they date to a pre-Assessment Guidelines era (see also here). Has national antitrust enforcer abdicated to COMESA? 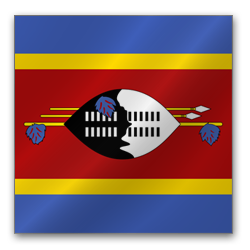 Since the creation of its competition-law authority in 2007, COMESA member state Swaziland has seen only 2 (two) enforcement matters, according to a report by the Observer. Even by COMESA’s statistical standards, 2 matters in 7 years amounts to a record low. Over in the virtual world, the SCC’s web site reflects the agency’s real-life inactivity: The last update appears to have been made in March 2012, a full two years ago; many, if not most, hyperlinks to “news” are broken or lead the viewer to blank pages; PDF document downloads often fail for no obvious reason. [T]he first enforcement matter the commission dealt with was The Gables (Pty) Ltd versus Pick n Pay Retailers (Pty) Ltd where the secretariat conducted an investigation into allegations made by The Gables against Pick n Pay. [T]he second enforcement case involved Eagles Nest (Pty) Ltd and Usuthu Poultry (Pty) Ltd which was investigated by the secretariat and at the conclusion of the investigation; the report was shared with the parties to the matter as the finding was adverse to the parties. “The matter was then taken to court where the commission successfully defended the case in the court of first instance and the parties then appealed the matter. In a judgement delivered on May 30, the parties’ appeal was dismissed and that the commission will be adjudicating on this matter soon,” he said. It’s been a little while since we last published a note on COMESA. When there is little substantive news to report, statistics often yield a topic to write about. And so it is with COMESA. The statistic at hand: On Monday, 18. November 2013, the Competition Commission announced that it had received its tenth merger notification. Geography: While the recitals fail to mention any common-market dimension of the transaction, it seems to be centered on COMESA member state Egypt. On the face of it, this appears to be an Egyptian deal, and as we have become accustomed to, it is hard to infer from the published information what the nexus to the common market is. Repeat party: The notified deal involves a repeat customer of the CCC, namely the oil & energy company Total. A different Total subsidiary had filed for (and has since obtained) approval of another transaction in March: the previous Total/Shell deal, also centered on Egypt, was notified in July. To our knowledge, Total is the first repeat COMESA-notifying party in the CCC’s history. This may well be a positive sign for the CCC. Two-for-One, please! The CCC observes in its November 18th notice that it actually received one single notification for de facto two transactions: the Chevron and the Beltone deal. But the parties were quick to point out – smartly so, some would say – that the deals were closely “interrelated” and therefore should be treated as one transaction for purposes of COMESA review. Bottom line: only one notification = only one merger filing fee (!) to pay, which can, as we know, easily hit the half-million dollar mark. In the end, the CCC bought the argument and allowed the parties to make only one single notification. Overall statistics: 11 months and 10 merger notifications. That equals less than 1 filing per month. With such a low number, the CCC is certainly not on track to beat other young competition-law enforcers’ merger stats (such as India’s Competition Commission, which has received an average of over 5 notifications per month since its inception two years ago). Flying under the radar: Combine Point 4 above (low filing statistics) with the zero-threshold and low nexus requirements that trigger a COMESA merger notification, and the following question inevitably comes to mind: With such low thresholds, and the certain existence of commercial deal activity going on in the COMESA zone, why are there so few notifications? Are parties simply ignoring the notification mandate? And if so, what is the CCC — an enforcement agency, after all — doing about this?